IT TAKES MORE THAN SUNSHINE & WATER. 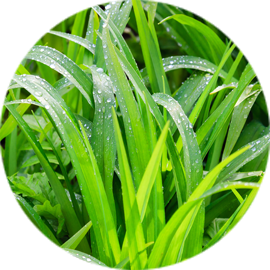 Our customized spring, summer, fall, and winter lawn care treatments include fertilization with crabgrass, weed, grub, and surface insect control. The first thing that comes with our services at no extra charge is a conscientious and courteous attitude. Add to that our many years of expertise and you get a healthy green lawn that beckons you to stretch out on it and read your favorite novel, enjoy a backyard barbecue, or just relax and enjoy the beauty around you. 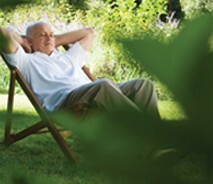 Keeping a nice lawn takes more than just sunshine and water. It needs a balanced mix of the proper nutrients and soil amendments to keep it healthy and growing. Your lawn also requires a trained eye to be able to spot problems before they arise. Weeds like crabgrass and pests like grubs are all preventable if left in the right hands. Royal Turfs’ lawn treatments include the materials your lawn needs and the expertise to know when and how to use them. Call our office or send us an email and we will provide you with a no-obligation estimate in about 5 minutes (provided you call during office hours). A DELICATE BALANCE. KILL THE WEEDS, NOT THE LAWN. For over 30 years Royal Turf has been turning the average lawn into the spectacular. With our proven techniques and years of experience, we can do the same for you. Our approach is simple yet extremely effective. 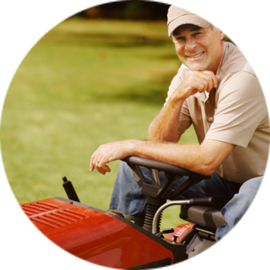 We visit our properties every six weeks or so to address the needs of each individual lawn. Using the highest quality materials and superior expertise, we will diagnose each individual problem and treat it accordingly. As we all know, TIMING IS EVERYTHING, so we start early in the spring with crabgrass preventers and broadleaf weed controls. With each application, we apply the proper doses of food in the best form for the plant to use. In different seasons of the year new problems may arise, so we time our spring, summer, fall, and winter lawn care treatments to be on your property to evaluate and address each issue as it arises. We not only address what you can see, like the grass and the weeds, we also remedy underlying problems such as soil structure, soil pH, organic deficiencies, and soil compaction. There are hundreds of different varieties of turf, but only a few of them are worth growing in your lawn. Knowing what kinds of grass grow and where is a skill of its own. At Royal Turf, we not only search out the best seed varieties but we also match them to your property and what grass fertilization is needed in your lawn based on the environmental conditions that are present. 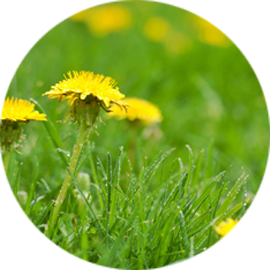 Broadleaf weeds like dandelions and clover can make even the most manicured lawn look unkempt. On top of these, you can have invasive weeds like ground ivy and violets, which can take over a lawn in a matter of months. Different weeds may require different treatment methods. Royal Turf has the expertise to identify any foreign invader that may be growing, and the know-how to address the issue appropriately. You may not see them now, but beneath the soil lies millions of crabgrass seeds waiting to sprout into action come warmer temperatures. Timing is critical; Royal Turf applies the best pre-emergent available in early spring to keep the ugly invader from taking over. Don’t fret if you have already been overrun by this unruly annual; we have the ability and expertise to rescue your lawn before it is too late. An early spring fertilizer and crabgrass preventer is applied at this time to aid in plant repair and early green up while establishing a barrier to prevent pesky annual weeds from ever blooming. A liquid application of broadleaf weed control to eliminate any undesirables from the lawn. Fertilizer with iron and other micronutrients are also applied to keep the lawn green and healthy. An application of slow release summer fertilizer to promote long term health and steady growth. A preventative grub and surface feeding insect control is also applied at this time to prevent any damage that these nasty pests can cause, guaranteed*. A special slow release granular fertilizer to aid the lawn in drought resistance and lawn recovery from heat stress. A complete inspection for grassy weeds is done at this time and spot treated as necessary. A balanced nutrient application to prepare the lawn for the coming winter months, spot seeding or weed control applications made depending on your turf’s needs. This is a special dormant application that promotes root growth and food storage important for winter survival. Limestone is applied at this time to help neutralize soil pH and add calcium to the soil, optimizing growing conditions for your lawn. *Grub control is guaranteed to be effective; if the lawn should be damaged in any way from grub activity after our application, we will repair it at no cost to you. 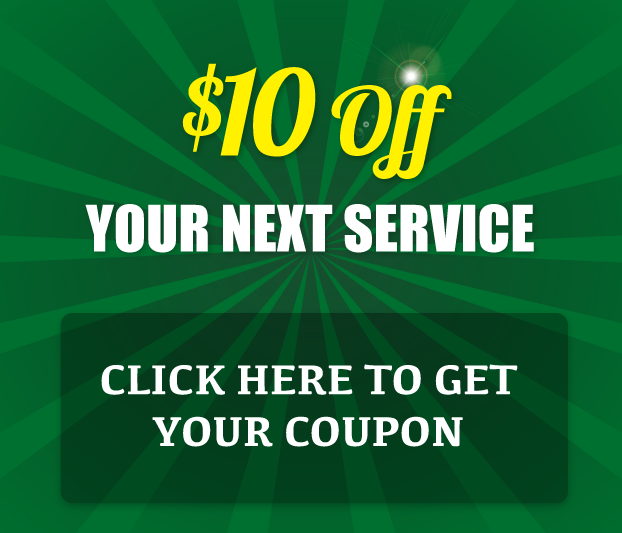 Looking to take care of your complete landscape? We also offer shrub care services, including insect and disease control. We can also take care of unique issues with solutions like lawn aeration with overseeding, fungus control, bed weed control, and mosquito / flea / tick control.